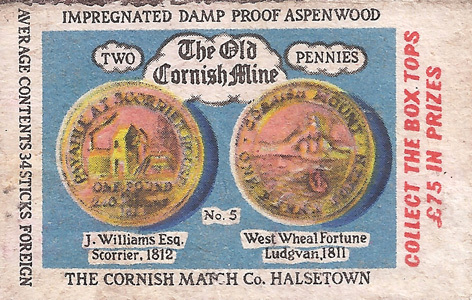 Some of the leading mines created their own coins which could be used as acceptable currency in their own near neighbourhood. 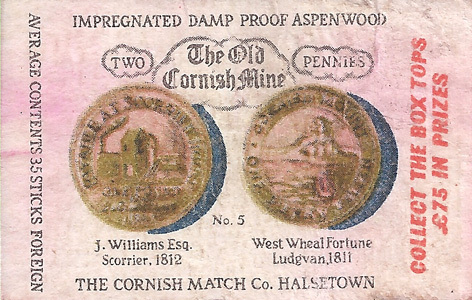 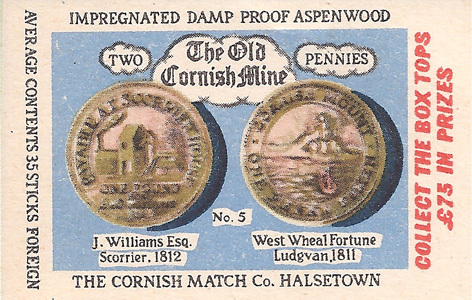 This label shows a One Penny token from Scorrier in 1812 and one from West Wheal Fortune, Ludgvan in 1811. 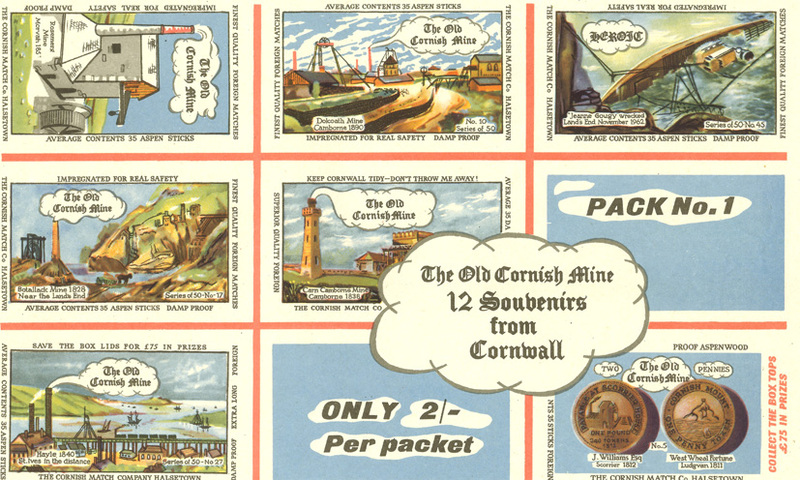 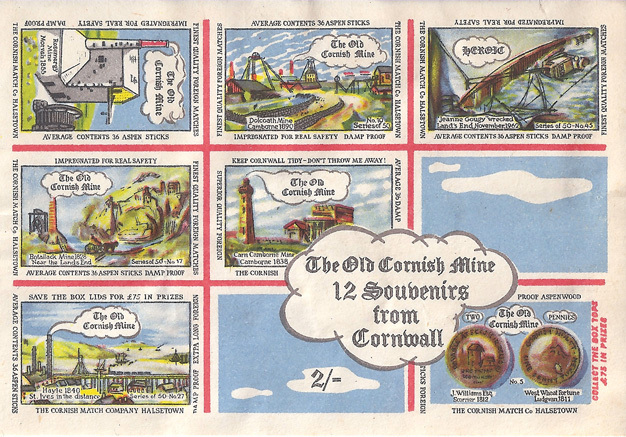 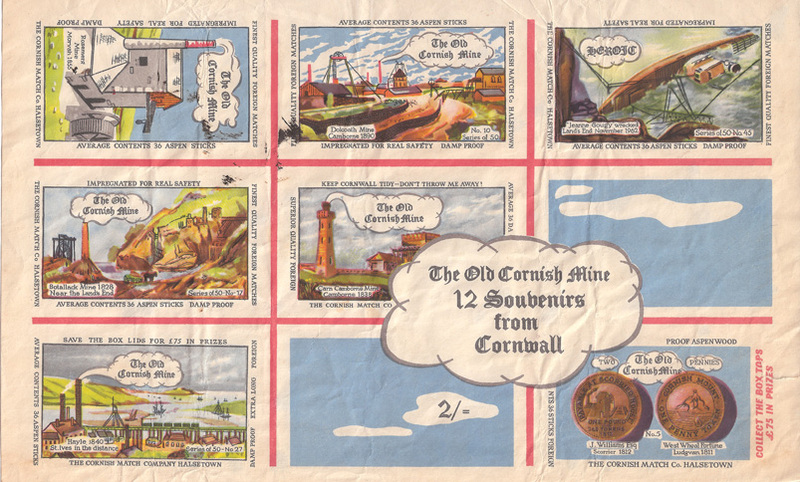 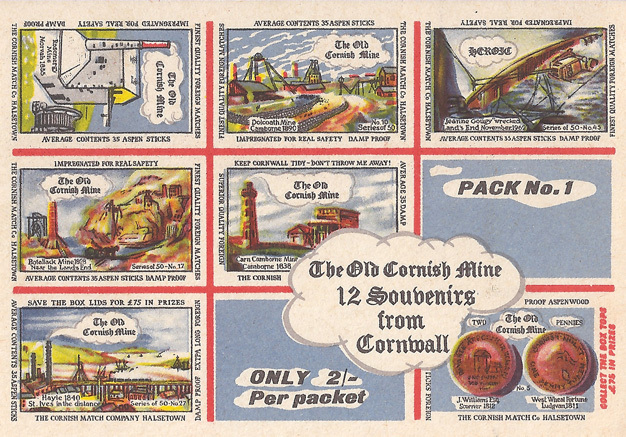 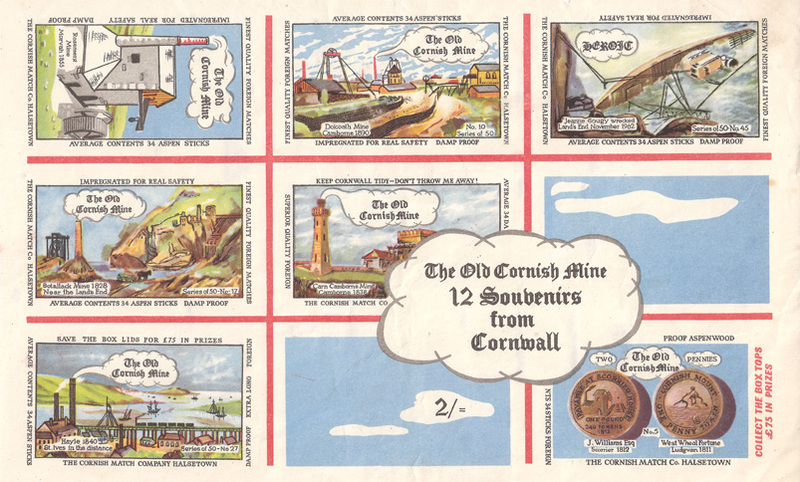 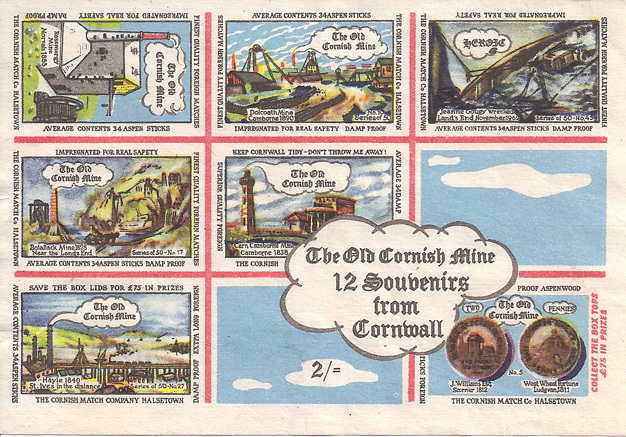 The illustration appeared on 5 individual and 6 souvenir labels and was first issued between September 1965 and October 1966. 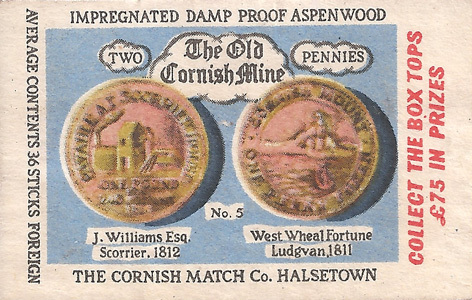 Tokens were issued by some of the leading mines and it is thought they were acceptable currency in the near neighbourhood. 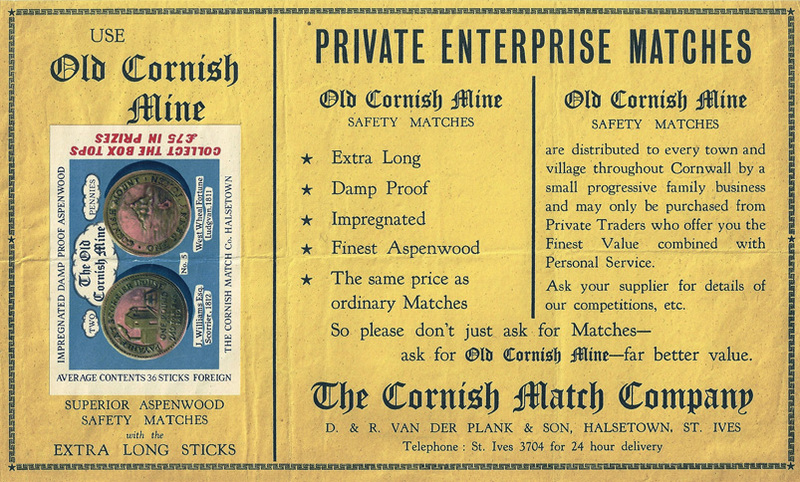 In some cases they would be accepted in “tied” shops which were owned by the larger mines. 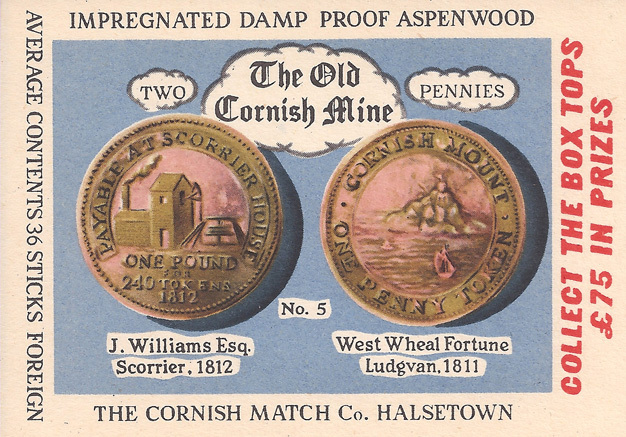 The Scorrier coin shows that 240 tokens were required to make One Pound (because there were twelve Pennies in One Shilling, and twelve Shillings in One Pound).